Visual sensory fun for all ages! Now in a smaller size, these fantastic liquid tile mats are portable and will encourage sensory integration and gross motor skills with their squishy and colorful moving liquid. A simple press on the mats gets the liquid color moving within. Clients will love to step on the mesmerizing tiles to watch how the liquid moves. 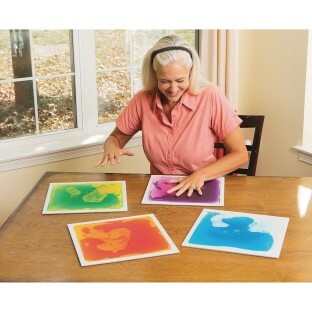 They can also press the liquid around with their hands to watch as the colors mix and merge. Set up several to cover a tabletop to use with sorting and matching activities. They’re smaller and a bit more portable than the original mats so sensory-seeking users can take them right to their desk or station. 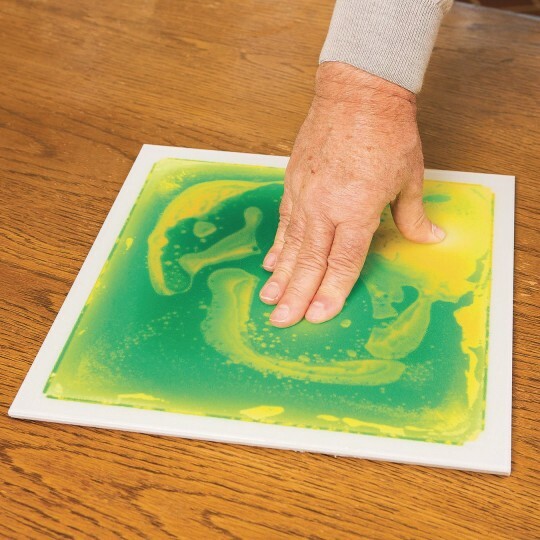 It’s visual sensory fun for all ages! Anti-slip back side. Safety tested. Non-toxic and super durable. 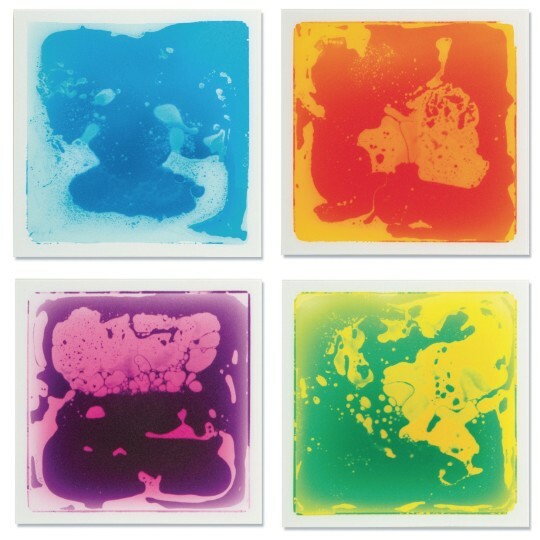 Each tile measures 12” square with 2 different colorful fluids flowing within the tile that move upon pressure application. Use with adult supervision.